Famed ballet photographer Gene Schiavone joins us to talk about ballet, theater and dance photography. Gene really goes into detail on equipment, settings, obstacles, where to stand and more when photographing with stage lighting. He started photographing the 2nd Company of ABT (American Ballet Theater) as a volunteer 15 years ago. Gene traveled with and photographed the dancers and shows for 2 years and learned stage lighting photography techniques. He was then invited to photograph the main company – a very big honor. Gene is now contracted (by performance) with several ballet companies. He is usually booked 6 months in advance. His photographs have been published in many different magazines and publications. Images are licensed and used by the company for marketing and promotion. The company has control of all images – every image has to be approved by the company. The contract is renegotiated if the images are to be used for other sales (for items such as T-shirts or mugs). He usually photographs one dress rehearsal and 2 performances. Able to set up tripod at the back of the Orchestra – has to shoot through glass. Sometimes has to set up tripod in last row of seats for a performance. Uses a Blimp – an insulated sleeve to fit over the camera and lens that acts as a ‘muzzle’ to dampen any mechanical noise. Gear of choice: Nikon D850 – need to have have ISO capability and INSTANT shutter release. Rockettes – the stage is bright, the lighting is much different than a ballet. The dancers are also arranged in a long line, different from the small groups of ballet dancers on stage. Opera – the actors/singers move much slower than dancers. The key images here are with the mouth open singing and a good expression – which is very difficult. Orchestra – there is not much movement, the key for these images is getting the conductor in the right position. Cuba – February 2 – 9, 2019 SOLD OUT! New Book! 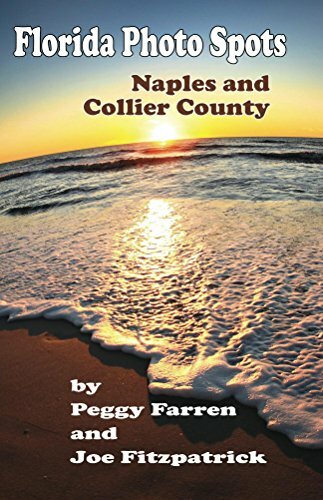 Peggy Farren and Joe Fitzpatrick have published a book highlighting Florida’s Best Photo Spots !